Two nice features of our upgraded voicemail system are access on the web and the ability to have your voicemail messages delivered to your email inbox. Here is more information on these options. How Do I Access My Voicemail on the Web? Using the web browser of your choice, go to: voicemail.owu.edu/mm. 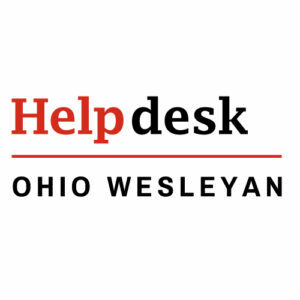 If you are on a mobile device, click the link on the right hand side of the site, or browse to voicemail.owu.edu/chtml. Enter your User ID: 9(extension) – for example, 93120. Enter your Security Code, which is your voice mail password. How Do I Sign Up for Voicemail Via Email? Why Am I Not Getting Any Voicemails In My Inbox? Check your spam/junk folder and, if you find your voice mail messages there, mark them as “Not Spam” or add voicemail@owu.edu to your trusted contacts. Can I Listen to the Attachments on my Smartphone? Yes. Android and iPhone Gmail apps support playing .WAV file attachments. What Do I Need to Have to Play a .wav File? QuickTime player will play .WAV files on either Mac or Windows. Windows media player will also be sufficient. For Chrome users, there is an extension that will allow you to play the .WAV file right in your browser without the need to download the file and open another program. Without this extension the attachment will download and open in iTunes. For Firefox users, the .WAV file will always download first before it plays. For Internet Explorer users, a popup box will appear when you click the attachment. Choose Open if you just want to listen or Download if you want to save it. For Safari users, the attachment will download and open in iTunes. What If Delete the Email Before Listening? The message will be in your email trash as well as on the voice mail server. Deleting the email does not delete the message from the server. Regular inbox cleanup will be necessary to prevent you voice-mail box from getting too big. What Does This Do To the Red Light on My Phone? The light will turn off as soon as the email is delivered to your email Inbox although the message will be marked as old in you voice mail Inbox. You can choose how you want your light to function when signing up.